Today I want to talk to you about inspiration and books. Now, I am not talking about novels and things like that, although those are great to read. It’s good to read — and that is where we learn so much! I accredit a lot of my learning from when I discovered my love of reading at the age of 9. As an adult, I know now that I need to further my knowledge by reading books that will inspire me. I need to learn from others who have already learned before me. What better way than reading? There is no school, no MBA, no degree, and no classrooms for this stuff. I have to learn from people who have already done it and then spend their time telling me about it. 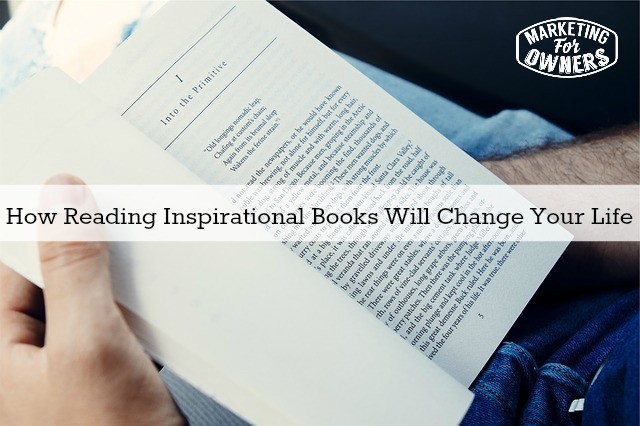 The answer is books — and something that will inspire me! For instance, I have mentioned before the E-Myth Revisited book by Michael Gerber. The entire inspiration for my business came from everything I learned in this book. That is the whole reason why I can make these podcasts in the middle of the afternoon and not have to be at work. Yesterday, I went to work for just a few hours at my fire safety business, to talk to my staff and management that run my business for me. There are only about 10 or 11 people who work there, so it’s not much. I will be popping in there again on Thursday and then on Friday, I will be somewhere else. Then in a couple of weeks, I will be making a trip to Vancouver. I will be there for about a month. All of that is made possible because of what I learned when I read E-Myth Revisited. Another way of looking at your business is by reading Built to Sell by John Warlow. It will give you a whole new perspective of why you are running around and not making any profit off your business. You are just too busy doing too many things. Other people that I have recommended that book to have come back to me and said what a difference it has made in their business. I drove the 600 mile journey down the Alps, with my son and a couple of others, and while everyone else was busy watching movies, I was listening to From Good to Great by Jim Collins. What an amazing book this is. This book is about 8 hours long on Audible. I finished it just as I arrived at our destination. On the way back, I listened to his other one — Built to Last. Both of these books are great and have tons of valuable information in them. These books gave me a couple of nuggets of information that made me want to change and rework the way I was thinking. This book has tons of information as well. These books are SO full of information, it’s hard to tell you where to start. I listened to both of these on Audible, but after listening through twice, I finally bought the books. There was so much great information that I wanted to have the physical book so I could underline and jot down some great business principles. Platform by Michael Hyatt is a from start to finish book and you will not regret reading this one. This is Chris Ducker’s book and it is full of information on how to get stuff done. It teaches you how to get other people on board with you to get stuff done so you can get on with the work that needs to be done. We apply his business principles all the time. He is simply genius. The Lean Startup uses the good enough now, better later approach and we are starting to use this in our business and it is helping us to get stuff done. This gave me inspiration to read about the 20/80 rule and ways to get it done. We need to be reading to learn all we can learn! If you want to know what books to read, go to Marketingforowners,com/books you will find all the books that we have recommended here at Marketing For Owners. And just so you know, I only recommend books that I have actually read and enjoyed. 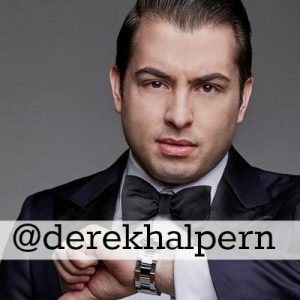 Today’s friendly follow is Derek Halpern. His website is socialtriggers.com. Now, Derek is very loud and in your face and super confident, but he is also so darn smart. I’ve seen him speak. He is brilliant. I have heard some of the bigger business gurus reference Derek and talk about how awesome he is. Go check him out and see if you can model some of your business tactics off of what Derek does.